This 3 piece mini stick kit lets you play games on your mobile device like a real controller! 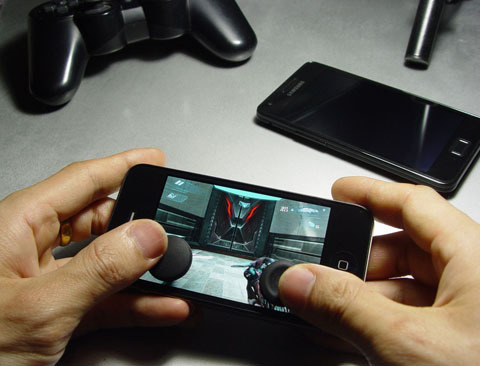 Finally, get real control for real gaming on your mobile phone or tablet. You get an Xbox 360 analog stick shape with concave design, PS3 analog stick shape with convex design and D-pad. To use the mini sticks, a player simply sticks it in place directly on the screen using the suction cup design. Warning: Choking Hazard- Small parts, Not for children under 6 years.